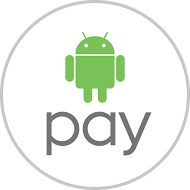 Google unveiled Android Pay at the Google developers’ conference that was held in San Francisco. This system brings together different payment networks, mobile carriers, retailers as well as the banks to enable the Smartphone users to utilize their handsets rather than depending on their payment cards. According to Dave Burke, the Google engineering vice president, this system will be working on more than 700,000 US retail outlets and it will be accepting contactless payments. They will be relying on the use of the close field communication and that too without even opening the app. He further added that this can be considered at the starting phase of an exciting and adventurous journey as they are trying to collaborate with many different banks, payment networks as well as developers. Additional security feature requires this system to generate a virtual account number or even one-time “token” that will ensure that the actual details of the credit data and none of the data is disclosed during the actual transaction process. Burke further added that the app user will be able to safely use their phones to make payment in stores where they are accepting the Android Pay Logo. The company has proclaimed that they give utmost priority to choice, security as well as simplicity. Google has already confirmed a couple of month’s back that they are planning to team up with Softcard, which is a mobile phone payment firm. All their efforts are directed towards rising in the emerging sector. Through this teamwork, the Google wallet can be transformed into a pre-installed “tap to pay” app on every Android based Smartphones. As if now there is specific date given for rolling out the Android pay but according to the company it might be available for download very soon. When it comes to Smartphones market globally, Android and Apple’s iOS rule the market. This is the reason why these companies are so eager to get into the center of shopping or another form of financial transaction since people are more dependent on their mobile phones now. Google has already confirmed that the new forthcoming version of Android will be able to support features like finger print scanner and that too built in the devices. This will match the security provided by Apple itself. The company has also showcased the new upgrades for the Android-powered smart-watches in the form of gesture controls as well as the capacity of the phone to differentiate between the golf club swinging and the push-ups. Google considers watches as a beautiful mix of technology and beauty. Google has been working on partnering with different hardware makers to add different varieties of Android smart-watches. As if now they have nearly 4,000 applications which have been custom made for Android-powered smart-watches. There is a tough competition in the market in terms of the Smart watches. Companies are working on making all their apps to make their devices for appealing to the customers.